Why did we dine here? – Din Tai Fung is a popular Xiao Long Bao (small bamboo steamer bun in Chinese) – Shanghai Steamed dumpling restaurant with locations in Bellevue, Los Angeles, Taipei, Japan, China, Singapore, and several other countries. We have dined at the location in Shanghai’s touristy Xintiandi, Bellevue, Singapore, and Hong Kong. The Los Angeles location is in Arcadia with Yelp reviews unfortunately indicating it is a step down from the ones abroad, although some say it is better than the original in Taiwan. Glendale, CA also has a location with Truffle dumplings. This restaurant started in Taipei City and has expanded over the years based on the popularity of their Shanghai steamed dumplings. We were near the LA and decided to refresh our Xiao Long Bao dumpling memory. This Din Tai Fung is located a typical San Gabriel Valley strip mall. This restaurant is popular, and the diners were a nice mixed crowd. 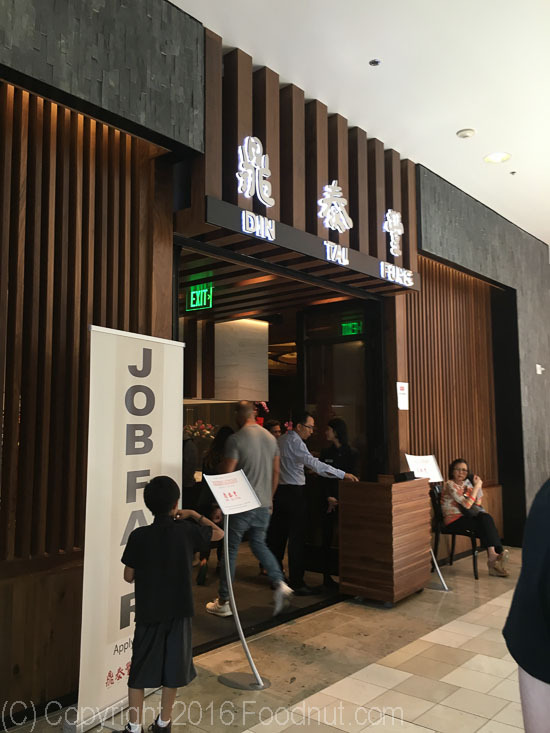 Service – Din Tai Fung was friendly and somewhat efficient. Verdict – Din Tai Fung Arcadia is definitely a great place to go for good Shanghai steamed dumplings. You may have to fly across the Pacific to eat something more authentic. Interesting to see all the Hispanics making the dumplings unlike their other locations. Website Din Tai Fung Menu clearly marks Vegetarian and Gluten Free options. Prices were cheaper than Din Tai Fung Bellevue. Milk Tea or Honey Green Tea with Boba ($4.75) was about average. You would expect a Taiwanese chain to do better. Order the Matcha instead. Matcha Smoothie with Boba ($6.25) was surprisingly good. A much get for matcha fans. Better than most places. Lychee Slush with Boba ($5.50) was also pretty good. Juicy pork dumplings or Xiao Long Bao ($11.50 for 10 pieces) contain lots of hot and somewhat bland soup with good meat flavor, thin wrapper (but not overly fragile), even though they were fairly small baggy dumplings. Thick cap. We would rate these very good, better than the vast majority in the United States. It is hard to remember how they would compare to the real deal in Shanghai. They may be at least 80% equivalent. Truffle Pork XiaoLong Bao ($23.75 for 5) are a decadent treat but really only for those who love truffles. We dined at Din Tai Fung Glendale in the Summer of 2017. This one is situated on the side of the posh Glendale Galleria Shopping Mall. (Shake Shack is across the street!) The wait was about an hour during a weekday lunch. $10.50 for 10 pieces at this point. We decided to only get the greatest hits and ordered two of the Juicy Pork dumplings. Same good stuff. Tip: We want more than 1 order, and we never order them all at one time. This way you can get hot fresh dumplings. Small Soup Dumplings ($12) are only available on the weekends. Order it once for the fun of it. Nothing special but cute little ones. These Shanghai Dumpling Restaurants are the best bet in the San Francisco Area for these small gems. House Chicken Soup (Steamed) ($6.80) was very good with lots of flavor and chicken meat. Beef Soup ($7.75) is not as good as the chicken. Juicy Pork and Crab Dumplings ($10 for 10 pieces) were good with a strong crab flavor that hits you right away. Shrimp Pork Pot Stickers ($9) look cool. They come upside down and all connected by the fried connection. Nice, crispy, and juicy, these are pretty good. Vegetable and Pork Wonton with Spicy Sauce ($7.50) is a Sichuan dish and done well. Sauteed Kale ($10.75) is not on the menu in their original Taipei, Taiwan location. Trendy California we guess. This one hits the spot. Great for vegetarians. Chicken Soup ($8) is definitely a nice dish. Long boiled flavor with tons of chicken. Shanghai Rice Cake with Pork ($9) is another Shanghai staple, this version look thin and pale, but proved to be chewy and possible. Clean cut, not stuck together. Sauteed String Bean with Garlic ($8.30) was cooked in a healthy manner, crisp and very garlicy. Sweet 8 Flavor Rice ($5.75) consists of sweet glutinous Rice along with some raisins and nuts. Lots of beans and dates. Not super large. Keep in mind that this takes a while to steam and arrive. The Taro Bun ($2.80) was a better bet. Sesame Bun ($2.80) is pretty sweet on the inside. Had to dump some of that filling away. 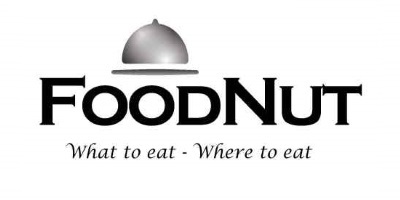 Do you like this restaurant? Can you recommend a better place?